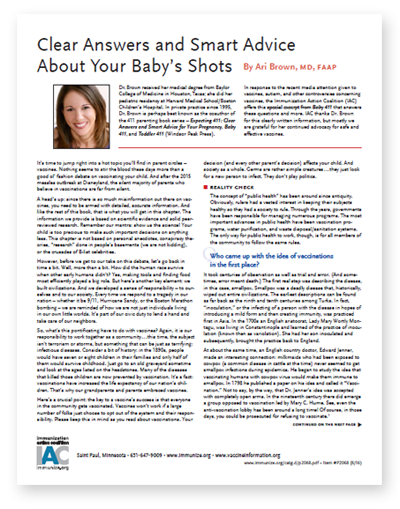 It is most important that parents and pediatricians continue to rely on immunizations to protect all children from preventable - and potentially deadly - illnesses. Many vaccine-preventable diseases can have dangerous consequences, including seizures, brain damage, blindness, and even death. These diseases still exist even though many young parents today have never seen a case, due to the success of the nation’s current immunization program. Death and harm from chickenpox, measles, meningitis and other diseases are still a threat to children who are not protected.